In the last 10 days, the Sunday-Monday storm slab has changed dramatically. First it was subjected to over 48 hours of above freezing temeperatures, then 5 days of sub-freezing temperatures. During this period, no significant storm loading or wind transport occured. This storm slab is capped by a 3 inch temperture crust that does NOT support skier or snowmobile. Stress testing of this storm slab yields failures after applying moderate force but NO propagation. We will continue to monitor this slab for changes as the season progresses. In 10 days we have moved from a High advisory to Considerable and now Moderate hazard. I am a little surprised at the speed at which we have made this transition. I continue to visit with the snowmobile club and local dealers concerning conditions that riders are encountering in their back country travels. Most riders stayed out of the back counrty last Monday-Wednesday. Thereafter, their travels have not yielded any notworthy incidents. We are forecasted to have more cool, dry weather without wind. All indications is for our risk to stabilize. We urge back counrty travelers to not be lulled into complacency. Please continue to use your proven safe crossing practices and good decision making. Yesterday I visited Flatiron Mountain in the Purcell Range. 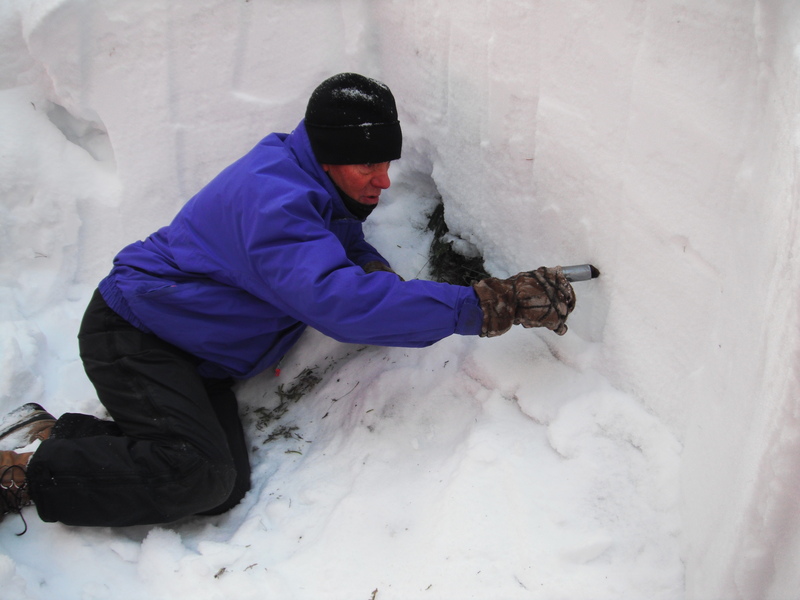 Near the summit at 5891 feet elevation on a steep east aspect, I found 41 inches of snowpack. There were 2 inches of very soft new snow from Saturday atop a 3 inch pencil hard temperature crust from last week Wednesday. This crust does not support a skier or snowmobile. Below these surface layers is a 16 inch one finger hard slab that sits on the Thanksgiving knife hard rain crust. This benchmark crust is very difficult to penetrate with any shovel. The Extended Column Test yielded no propagation at a depth of 13 inches. Failure is on a very small near surface facet that formed just prior to the Sunday-Monday storm 10 days ago. 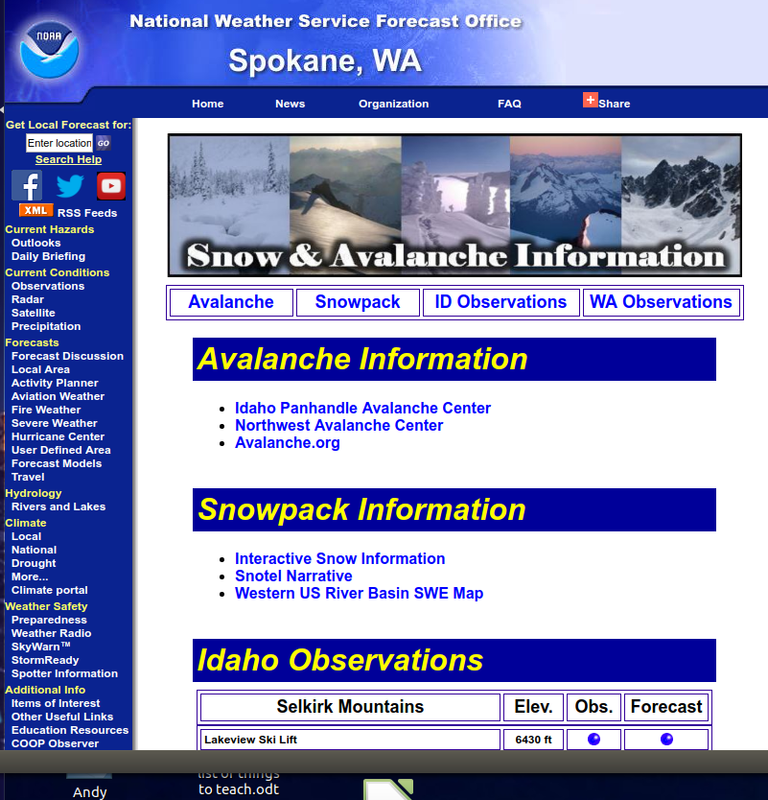 Since the Friday, January 9th advisory weather in the Kotenai Region has been cool and mostly dry. 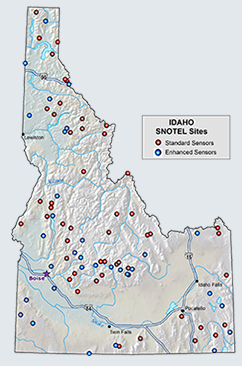 All SNOTEL sites recorded below freezing temperatures day and night for the last four days. Snow water equivalent (SWE) increases have ranged from 0.1- 0.5 inches with the most in the West Cabinets. 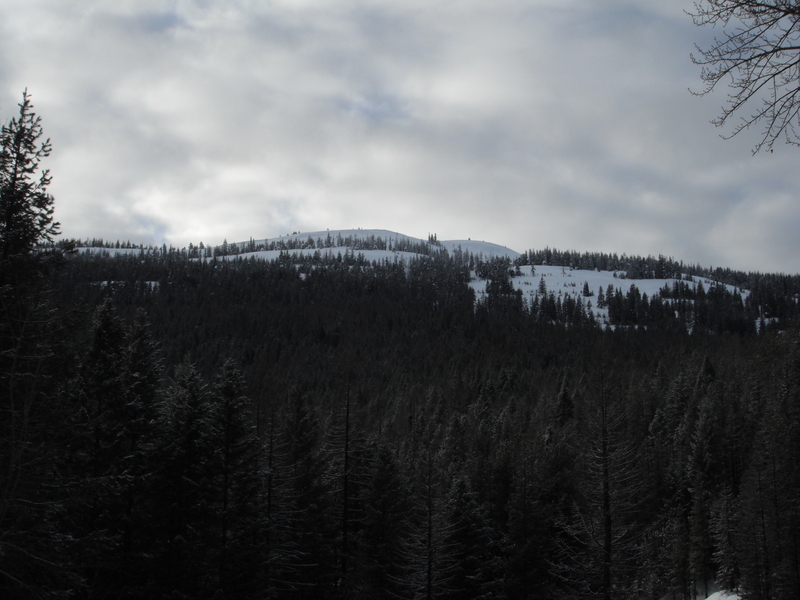 Weather yesterday on Flatiron Mountain in the Purcell Range was partly sunny, calm, no new snow, and 25ºF. Forecasted weather is for decreasing cloud cover through Wednesday with all temperatures below freezing (upper teens to upper 20s F). No new snow in the forecast and only light winds (3 mph) out of the southwest. There is little snow available for transport.